These cars and trucks ranked at the top of J.D. Power's survey of new car owners. 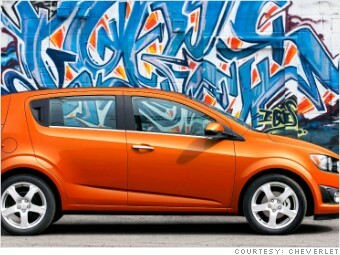 General Motors (GM) Chevrolet brand had the most top-ranked vehicles in this year's J.D. Power's survey of vehicle owner satisfaction. Volkswagen Grou, (VLKAF)which includes the Audi and Porsche brands, was the manufacturer that earned the most top rankings. It was the second year in a row that Chevrolet and Volkswagen Group have earned the most wins in the survey. J.D. Power's annual APEAL survey ranks new cars by how well their owners like them after 90 days. Vehicle owners were asked about 77 different aspects of their vehicles and those ratings were combined into a single score. Not all the cars that do well in this survey are big sellers, but vehicles that score higher in the survey tended to fetch higher prices at the dealership, according to J.D. Power. Owners of top ranked vehicles also tend to be loyal to the brand. The cars in this in this gallery all ranked at the top of their respective segments. In most cases, the top three ranked vehicles are listed but in some cases only one car scored above average in a given vehicle segment.